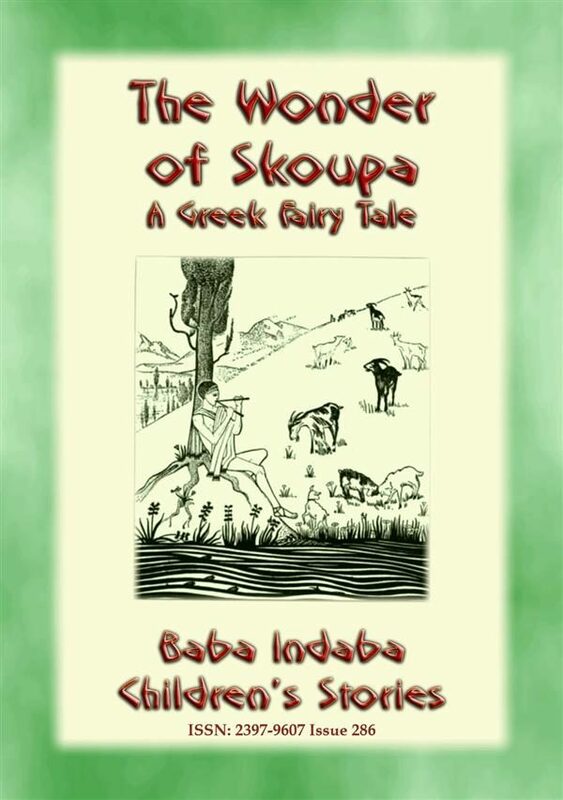 ISSN: 2397-9607 Issue 286 In this 286th issue of the Baba Indaba&rsquo;s Children&#39;s Stories series, Baba Indaba narrates the Greek fairy tale titled &ldquo;THE WONDER OF SKOUPA&rdquo;. One day many years ago on St Nicholas&rsquo; day (Christmas day), Vasili was standing guard over the flocks up on the plateau. This is usually a boring job and he played his flute to while away the hours. Then suddenly the sky became alive with streaks of light flitting about, here and there. He was also sure he heard voices singing&hellip;.. All the activity was across the meadows from him, so he made his way over to where the action was taking place. As he approached the lights they rose into the sky and disappeared from view. Nevertheless he continued to the area in which he had seen them and there lying on the ground wrapped in a very finely woven blanket, he found a babe with beautiful blonde curls, snug and warm. Hurriedly he picked up the child and rushed down from the plateau to the village of Skoupa. There the villagers, as generous as ever, took the child in an named him Nikolas for the day of the saint on which he was found. In time he also became known as The Wonder of Skoupa and this is his story. What happened to Nikolas you may ask? Did he remain in Skoupa or was he destined to go on and achieve greater things or did something else altogether happen to Nikolas. Baba Indaba is a fictitious Zulu storyteller who narrates children&#39;s stories from around the world. Baba Indaba translates as &quot;Father of Stories&quot;. Each issue also has a &quot;WHERE IN THE WORLD - LOOK IT UP&quot; section, where young readers are challenged to look up a place on a map somewhere in the world. The place, town or city is relevant to the story. HINT - use Google maps. 33% of the profit from the sale of this book will be donated to charities. INCLUDES LINKS TO DOWNLOAD 8 FREE STORIES &nbsp;.